SANTA CLARA, Calif.–(BUSINESS WIRE)–Jul. 16, 2013– MoSys (NASDAQ: MOSY), a leader in semiconductor solutions that enable fast, intelligent data access for network and communications systems, today announced it has joined the Xilinx® Alliance Program with its high-performance, high-access rate Bandwidth Engine® family of integrated circuits (ICs) which are intended for 100G and beyond networking systems that utilize Xilinx FPGAs. The Xilinx Alliance Program is a collaborative worldwide ecosystem of qualified companies that have a proven track record of delivering products and services on Xilinx programmable platforms to further the development of All Programmable technologies. Leveraging open platforms and standards, Xilinx has built this ecosystem to help accelerate design productivity while minimizing risk to customers. Participating companies provide qualified, optimized products and services that contribute to a broad selection of industry-standard solutions available for use with Xilinx FPGAs. As the inventor of the GigaChip™ Interface, a board-level, open, CEI-11 compatible transport protocol for highly efficient serial chip-to-chip communications, MoSys has been collaborating with Xilinx, Inc. to enable 100G and faster networking solutions. 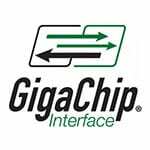 Through the GigaChip Interface, MoSys has demonstrated and proven interoperability between its Bandwidth Engine ICs and Xilinx Virtex®-6 FPGAs and Virtex®-7 FPGAs. MoSys is currently accepting sample orders for second generation Bandwidth Engine devices. MoSys® FMC Development Kits are designed to interface to high-performance FPGA development boards through standard single or dual high-pin count (HPC) configuration, such as is offered with the Xilinx Virtex-7 VC707 Evaluation Kit. MoSys’ first generation Bandwidth Engine ICs have been fully qualified for carrier-grade applications and are available for volume production. For information about pricing and availability of any MoSys products or to request information about the GigaChip Interface, contact a local MoSys sales representative at http://www.mosys.com/contact.php.